The Congress on Thursday lashed out at the Narendra Modi-led government for what it said was failure on all counts, as Gujarat Chief Minister Anandiben Patel called the opposition leaders a bunch of "copycats and blockheads".Congress leader Manish Tewari told reporters in Ahmedabad that the Modi government had failed on parameters of internal security, economy, foreign policy, communal harmony and upholding the principles of federalism. "We want to ask the prime minister as to how he has been able to better the life of the common man in the last two years? This is the basic question the prime minister needs to answer. You promised 'achhe din' and 'Sabka saath sabka vikas'," Tewari said.He listed out what he called Modi government's failure, including intolerance, attack on federalism in Uttarakhand and Arunachal Pradesh. "If he had an iota of shame, he would have resigned the day courts made observations against the way the central government had tried to upstage the Uttarakhand government," Tewari said. Calling Modi's foreign policy a 'sair sapata' (fun travel), the Congress leader said India had achieved nothing from Modi's frequent foreign travels. "This is a government that has no idea about its own policy of dealing with Pakistan. The United Progressive Alliance (government) firmly dealt with China but today the relationship seems to have gone completely awry, with China opposing India on more than one international platform. What has global rallies of Modi with the Indian diaspora achieved?" he asked.On internal security, Tewari pointed out at attacks on paramilitary forces in Naxal- dominated areas and terrorist attacks in Punjab. On the economic front, he said the government claim of 7.5 percent growth rate are due to the change in base year. "They have shrunk the Indian economy and it is not growing beyond 4.5 percent and not as per the statistical web created by the NDA. Not one job has been created compared with the promised two crore jobs. People are being fooled by launching various schemes, nothing else," he alleged. As for corruption and scams during the UPA rule, Tewari said not one person had been convicted by the courts so far. 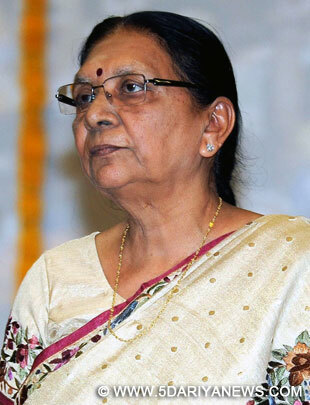 On the other hand, addressing a rally to celebrate her and Prime Minister Narendra Modi governments' two years in office, Chief Minister Anandiben Patel said the Congress was copying the state government's 'Lok Samvad Setu' programme by holding 'lok darbars' at taluka headquarters. "They are not using their brains even in copying. If they indeed did so, India would not have become Congress-mukt," she told the gathering. She said the Congress was unable to do anything original. "I, along with my ministers and government officials, go to the people and solve their issues on the spot. The Congress cannot solve even one issue because its leaders don't have the ability. What is the use of holding such darbars then?" she asked.In response, Tewari said it reflected the "arrogant attitude of the BJP, and that they don't care about democratic values".